Beacon Minerals Limited's current focus is on developing the Barlee Gold Project in Western Australia. The Company intends to continue to pursue opportunities in the minerals sector in Australia and elsewhere, taking into account the geological and economic merits of any opportunities presented. The Story Group built a easy to use content management system so the company can manage their ASX Announcements and other company content. 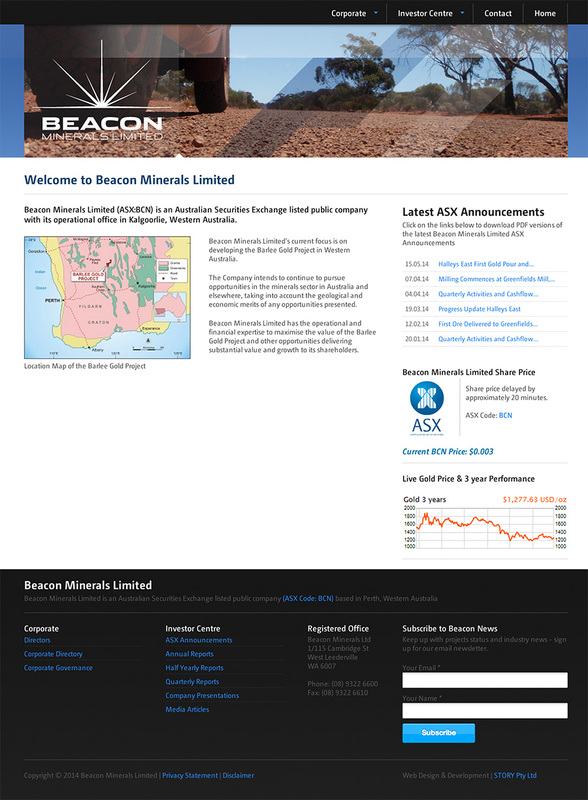 Beacon Minerals Limited also manage and send regular newsletters to their large subscriber base - subscribers can manage their subscription details though the site.